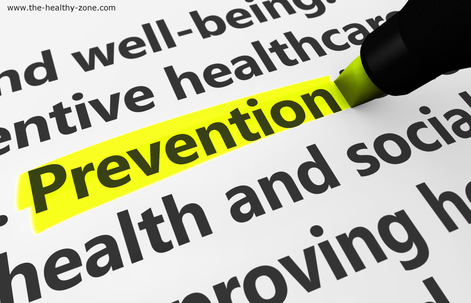 Prevention is a word often bandied about and misused. The healthcare industry defines it as early detection or symptom management. Alternative medicine defines it as keeping something bad from happening or becoming significant in your life. What does prevention mean to you? Let’s think about how we use the word and how powerful it is in defining how we approach caring for our health. Let’s go to a neutral party for a definition both sides might be able to accept. Merriam-Webster defines prevention as the act or practice of stopping something bad from happening. So, what’s the big deal if the meaning of the word prevention is altered? Stick with me here, and I’ll explain. Lab tests show what damage has already been done, the state of being at that time. These tests are not preventative. Neither are scans, scopes or grams. Screenings and tests fall into the “early detection” category within the realm of licensed health care providers. There is nothing wrong with early detection. Information is always a good thing. However, when your insurance policy talks about these things as “preventive care,” they are creating confusion and promoting the notion that having a lab test done to you will help keep bad things from happening to you. Diagnostic tests cannot keep you from getting a disease. Now there are some healthcare services that blur the line further. You may go to a dietician to learn how to improve your eating habits to manage your diabetes. Is this a good thing? Sure. Is it preventive? No. The diabetes already exists, so this is symptom management. It’s all the rage for hospitals to have wellness centers with pools, gyms, trainers, physical therapists and massage therapists. Though exercise may help in prevention, it is more often used for rehabilitation or symptom management in this setting. · Profit - Management of anything in healthcare is much more profitable than preventing it from happening. That is not to say that many healthcare providers do not deeply want to help people. They do, but they are caught in the system. · Prevention - Alternative medicine seeks to find the reason your body is out of balance and help it come back into balance. Healthcare no longer does that, nor is it required to. A large number of you seek care for your wellbeing outside of traditional methods recognized by the healthcare industry. I applaud all of you, as the pull of the healthcare industry is strong. · Medical: Take this for that, real or synthetic is all the same. Partition the body by system. · Alternative: You cannot cure a body with synthetic toxins. You are an individual and a whole being. As you can see, I’ve got my facts and my opinions on this topic. Want to learn more? Contact me, Linda Dulicai, at 540-428-1949 or linda@The-Healthy-Zone.com. Why Does the United States Rank So Badly in Health?